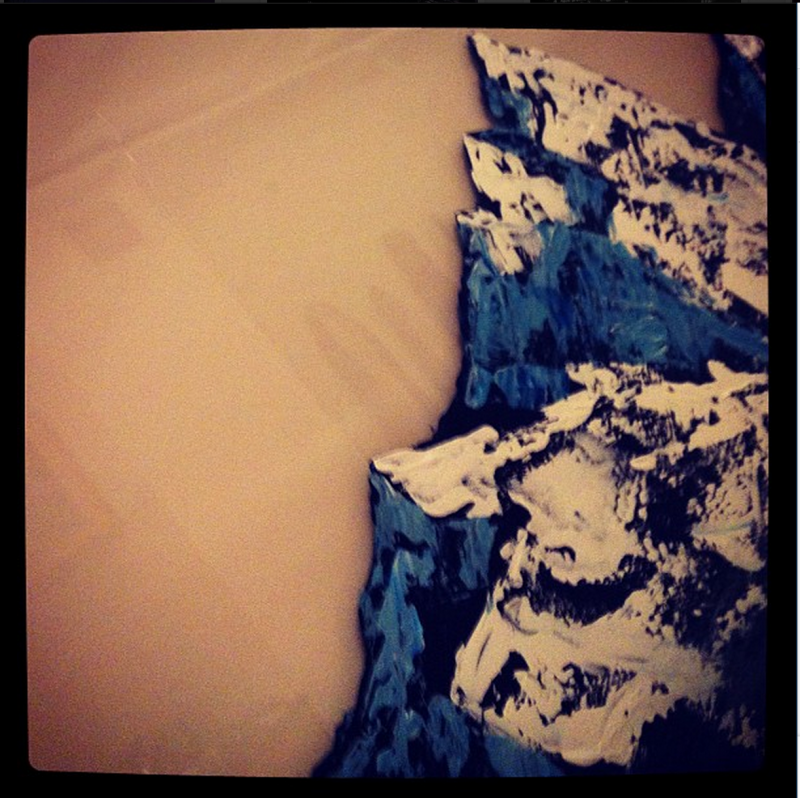 Saaraa Premji » Blog Archive » Happy Little Mountains. I’d say my love for the rockies reflects my love of being Canadian. I tried to paint them once before, but they looked a bit off. 1. 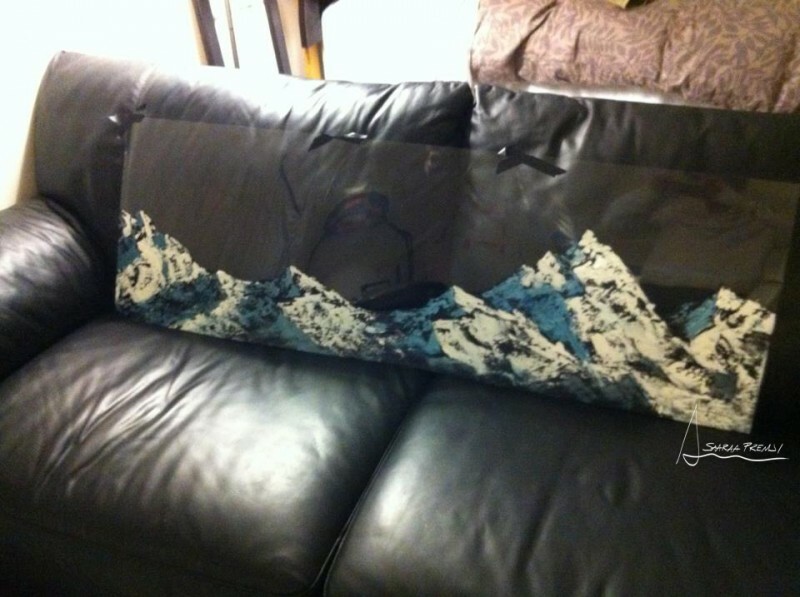 I painted on a ‘clear canvas’ (big sheet of plexiglass) so that it would feel like the mountains were painted directly on the wall. I like playing with materials, purely because I can. Next time, i’ll be painting on on aluminum. 2. I watched a whole bunch of videos by Bob Ross. I used to come home after school and catch a few minutes of his show before my brother made me change it. He’s the happiest and softest spoken man I’ve ever listened to. I read that he used to be a drill sergeant, I can’t picture that at all. 3. I went bigger. Bigger surface, bigger paint tubes, bigger palette knife. Real mountains are huge, I wanted to respect that. 4. I took my time. Something like this could easily be done in under an hour. I decidedly looked for light and dark areas and forced some perspective that I didn’t have in the first version. This attempt was much more successful. I would have kept it (shockingly – I always give my art away), but instead I donated it to a student auction for charity. I’ll be making more of these giant rocks in the future, hopefully they can be another addition to the ‘originals’ section of my Etsy store. Update: Below is my 3rd attempt at this wonderfully fulfilling style. 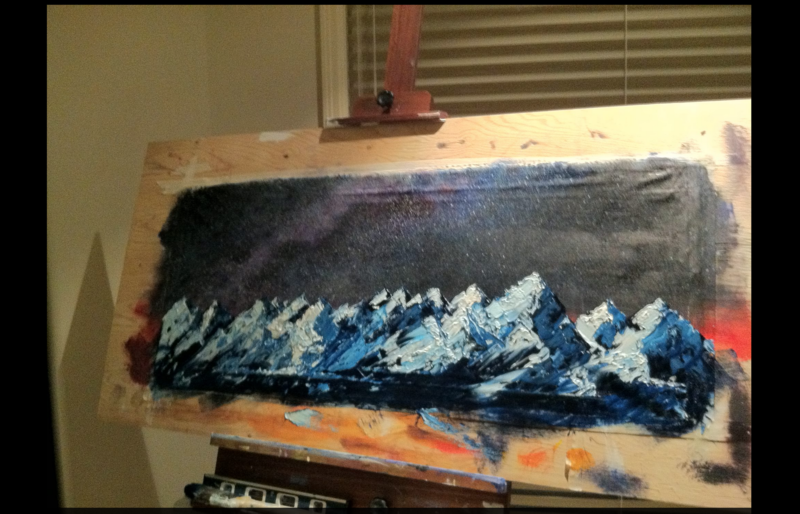 No brushes, just a palette knife. I made this one for my dad. 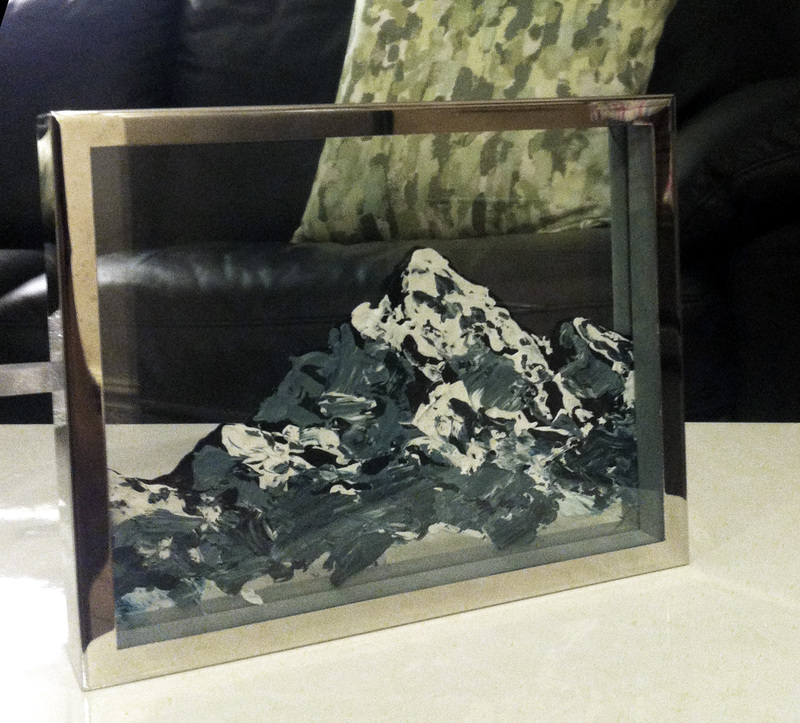 Acrylic on a glass float frame.